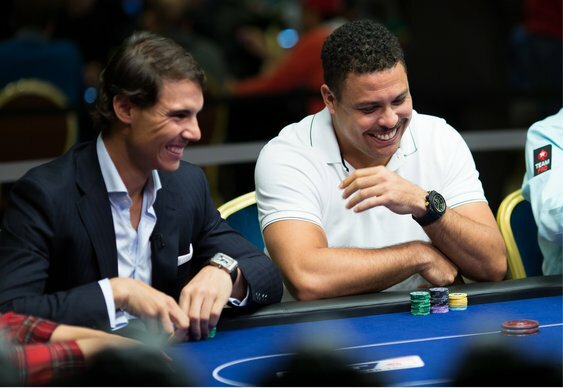 Footballing superstar Ronaldo (the Brazilian one, not the Real Madrid winger) and multiple tennis Grand Slam winner Rafa Nadal are to meet in a special heads up contest in London on 6 November. The London clash, known as 'The Duel', won't be the first time that the two PokerStars ambassadors have met on the felt. Nadal was victorious in the European Poker Tour Prague Charity Challenge sit and go which also featured Daniel Negreanu. With the tennis circuit winding down until the Australian Open in January, Nadal will be spending more time sharpening up his poker game. As part of that preparation, he'll be taking on all-comers at the PokerStars play money six-max Zoom tables at 6pm UK time on 22 September. The session will be broadcast live on YouTube and PokerStars.tv with viewers able to ask questions using the #AskRafa hashtag.